October 2015 – Heroin. Stop the Silence. Speak the Truth. 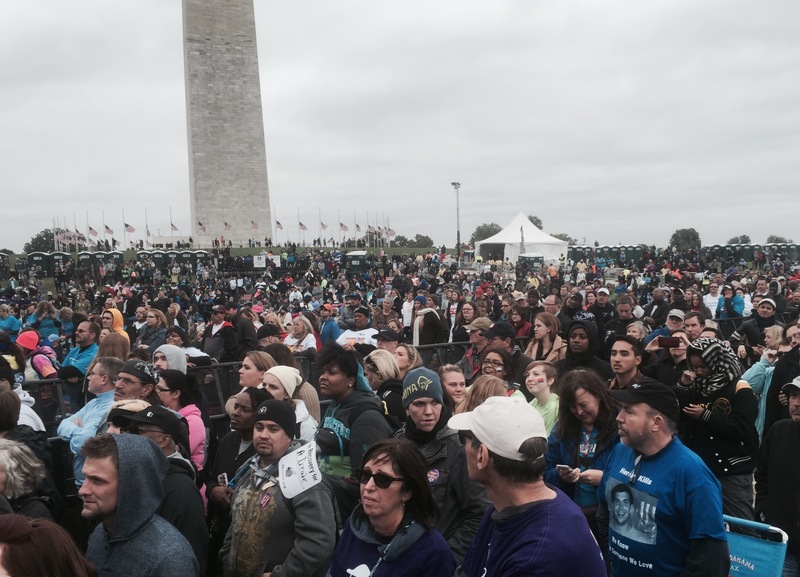 Kate Meyer of I Am Not Anonymous wrote a powerful blog post about the UNITE to Face Addiction rally in DC, The Day the Silence Ended . Don’t skip the link at the bottom of the article to the photo gallery. Amazing photos – she really captured the day! We UNITED to Face Addiction. No More Silence. On October 3rd and 4th I stood beside my son in Washington DC. I stood with him at the Fed Up! rally on Saturday as Chief Campanello and John Rosenthal spoke to us about the Gloucester Initiative and PAARI (the Police Assisted Addiction and Recovery Initiative). 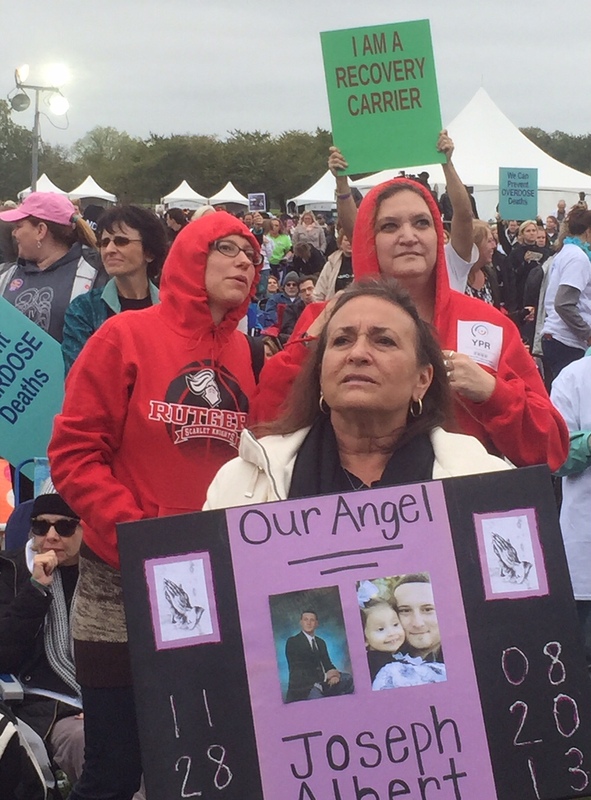 We raised our voices and marched with thousands to the White House- then later stood in silence while hundreds of names of those lost to addiction were read. We were together as Cheryl Crowe sang For What it’s Worth in the shadow of the Washington Monument during the UNITE to Face Addiction rally. I got goosebumps as she belted out “Everybody look what’s going down…”. We stood as the Surgeon General announced that the first ever report commissioned on substance use, addiction, and health will be published in 2016.